Read Heal Like A Pro From Sports Injuries provided by Care Medical Center Staff to learn more about Care Medical Center and our Chiropractic office in Valdosta, GA.
Playoff Season is Here! If you are a sports fan, you know that the excitement of any sport’s season can have our bodies filled with adrenaline and eager to relive the good ole days. If we have remained active and are in a conditioned state, the activities we attempt will be less taxing on our bodies, but even then our susceptibility to injury is real. So before you reenact your greatest sport’s achievement, learn more about the most common injuries and how you can avoid or recover from them. The most common sports injuries occur to the ankles, knees, shoulders, elbows, and spine. Broken bones can happen when playing sports or exercising, but the more common injuries are those that occur in the muscles, tendons, and ligaments. When you twist or overextend a joint, a strain can occur, which is a tear in the muscle or tendon, or a sprain can occur, which is a tear of the ligament. The damage these inflict varies in severity from a few torn or stretched fibers to a complete tear right through the structure. The latter will often require surgery to repair. Joint Inflammation: Over-training is a common cause of a condition called tendonitis, which is one of the so-called “overuse syndromes.” Tendonitis occurs when the joint is overworked, and the connecting tendons become inflamed, causing pain and dysfunction. Stress or fatigue fractures may also occur as a result of repetitive strain and activity. Relax and Elevate: 48 hours rest and/or immobilization are usually enough unless the injury is more severe. Raise the injured limb above the level of the heart to help reduce the swelling. Your doctor of chiropractic can advise on the optimum times for rest and recuperation. Moderate: Too much rest can work against recovery in many cases, and can even be harmful. The sooner normal function is restored, the better. Be careful not to hurry or become over-zealous in the recovery process as a rush to playing or training full out will cause further damage. Ice: Ice can help to reduce the inflammation and speed healing. Compression: Swelling may be controlled somewhat through compression of the injured area, as advised by your chiropractic physician. Pain Relief: According to recent research, the use of certain non-steroidal anti-inflammatory drugs should be limited as they may, in fact, retard the body’s natural healing process, causing a longer recuperation than necessary. Joint manipulation: Recent research has also shown that joint manipulation, as practiced by a chiropractor, can help with certain types of injury, lowering pain levels and expedite recovery. 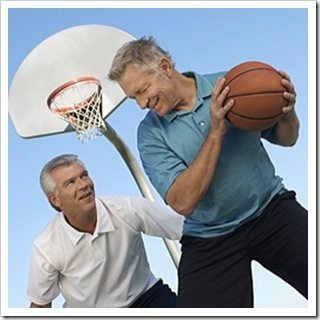 Be Proactive: Many sports injuries are preventable through the use of proper physical conditioning, including warm-up and cool-down routines, and correct techniques when practicing the activity. Invest in quality safety equipment that is available for your particular sport or exercise to also help lower the chances of injury. Hydrate: Keeping hydrated with a healthy intake of water also guards against injuries by feeding the tissues what they most require to function optimally – water. As many of the top athletes know, being the top 1% includes having regular chiropractic care. Having their body in optimal health and alignment allows them to achieve optimal results. Our expert team designed our health and healing process with that premise in mind. To play like a pro, you must train, heal, and recover like a pro for maximized potential and ultimate success. This entry was posted on Tuesday, November 29th, 2016 at 4:30 am and is filed under Health Articles. You can follow any responses to this entry through the RSS 2.0 feed. You can skip to the end and leave a response. Pinging is currently not allowed.